Share Your Thoughts... – Love Yours Gives, Inc. Your opinion means a great deal to us. As we curate a satisfactory experience, would you be willing to complete a short survey and provide feedback on our products and services? 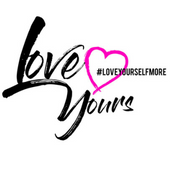 We want to know how we can help you #loveyourselfmore. Click the link below to take this quick survey to improve your quarterly experience. Don't forget to share the code "BFF15" to receive a discount off of your Bestie's subscription or one-time purchase.